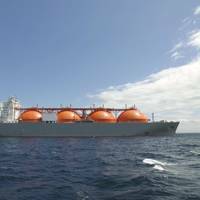 Japanese energy company INPEX Corporation announced that the LNG Tanker Oceanic Breeze called for the first time at INPEX’s Naoetsu LNG Terminal located in Joetsu City, Niigata Prefecture, Japan.The tanker has delivered a cargo of liquefied natural gas (LNG) from the INPEX-operated Ichthys LNG project in Australia.Oceanic Breeze is owned by Oceanic Breeze LNG Transport S. A. (OBLT), a joint venture between INPEX Shipping Co., Ltd. (INPEX Shipping) (30%) and Kawasaki Kisen Kaisha Ltd.
As the shipping industry is pushed to dramatically reduced greenhouse gas emissions courtesy of mandate from the International Maritime Organization, a pair of Japanese companies have embarked on a study of efficient shipboard power generation.Kobe Steel, Ltd. will conduct joint research with Kawasaki Kisen Kaisha, Ltd. on a binary cycle power generation system currently under development. The binary cycle power generation system was installed on the coal carrier Corona Youthful. 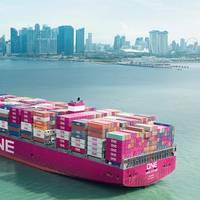 Container line joint venture Ocean Network Express (ONE) dragged down NYK Line in the first half of 2018 ended September 30 with with Japanese shipping group in the red.NYK Line reported a loss of JPY 9.7 billion for the six months ended September 30, compared with a JPY6.2 billion profit a year earlier. The consolidated revenues amounted to JPY 915.6 billion, down from JPY 1,064.2 billion in the same period of the previous fiscal year.The new shipping line ONE, which was established with the aim of integrating the container shipping business with those of Kawasaki Kisen Kaisha, Ltd.
Singapore headquartered container carrier Ocean Network Express Pte. 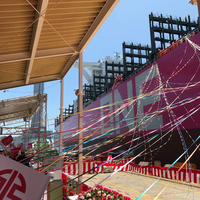 Ltd. (ONE) has taken delivery of a new 14,000 TEU-class containership from Japanese shipbuilder Imabari Shipbuilding Co., Ltd, on July 24, 2018.The new ultra-large containership, One Minato, was built at Imabari’s Hiroshima yard and joins the ONE fleet under sublet from Kawasaki Kisen Kaisha, Ltd.
A naming ceremony was held Monday at Japan Marine United Corporation’s (JMU) Kure shipyard for the first newly built containership painted in Ocean Network Express' (ONE) corporate color.The new magenta box ship, named ONE Stork, is the 10th of 15 new 14,000 twenty-foot equivalent unit (TEU) vessels ordered by Nippon Yusen Kabushiki Kaisha (NYK). 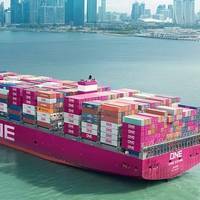 It will be chartered by Singapore-based ONE, which began operations on April 1 by integrating the container businesses of Japanese ocean carriers Kawasaki Kisen Kaisha (K Line), Mitsui O.S.K. 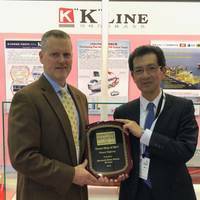 Kawasaki Kisen Kaisha (“K” Line), one of the largest Japanese transportation companies, held the Award Ceremony for “K” Line Group Environmental Awards 2018 on June 5, 2018. According to a company press release, the awards were established to honor and give recognition to outstanding environmental-preservation-contributive activities addressed by executives and employees working throughout the “K” Line Group pursuant to the direction developed in “K” Line Environmental Vision 2050. Japanese shipping major Kawasaki Kisen Kaisha (K Line) took delivery of its newest very large crude carrier (VLCC), Tedorigawa.The 311,000 dwt vessel was built at Nantong Cosco KHI Ship Engineering (NACKS), China and delivered on June 4, 2018.The Panama-flagged, 161,483 gross tons tanker has a length of 339.5 meters and a beam of 60 meters.According to K Line, Tedorigawa achieves low fuel consumption (about 20 percent reduction compared with conventional VLCC) by removing the bulbus bow, applying ultra-long stroke slow speed main diesel engine and highly efficient large diameter propeller. 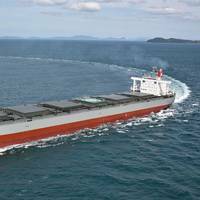 K Line Adds 'Corona' Series Coal Carrier "Corona Xanadu"
Kawasaki Kisen Kaisha (“K” Line) is proud to announce the delivery of “Corona Xanadu,” an 88,000 DWT-type special coal carrier at Shin Kasado Dockyard of Imabari Shipbuilding Group Japan on May 23, 2018. Corona Xanadu is same type as “K” Line’s specialized fleet for transport of thermal coal known as the “Corona-series”. The Corona-series consists of epoch-making coal carriers equipped with wide beam and shallow draft, which are the most suitable type to enter ports of domestic Thermal Power Stations to discharge cargo. Kawasaki Kisen Kaisha ("K" Line) and some of its group companies recently acquired a “Statement of Conformity” for its environmental system, “Drive Green Network” (DGN), for pushing forward group-wide environmental management in consequence of a conformity audit by a third-party institution (DNV-GL). “DGN” was started in June 2017 for continually improving environmental preservation activities while promoting the PDCA cycle function and ensuring environmental compliance throughout the entire K Line Group. 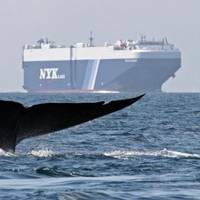 Cartel conduct in cars transported to Australia from 2009-12-ACCC; Nippon Yusen was fined $20 mln in 2017 over cartel conduct. 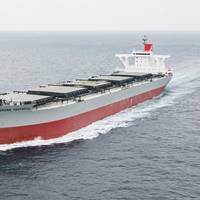 Kawasaki Kisen Kaisha (K-Line) has pleaded guilty to criminal cartel conduct in the transport of vehicles, Australia's competition regulator said on Thursday, the second Japanese shipping company to make such an admission. The conduct relates to the shipping of cars, trucks and buses to Australia between 2009 and 2012, according to the Australian Competition and Consumer Commision (ACCC). Japan's Kawasaki Kisen Kaisha, Ltd., Mitsui O.S.K. 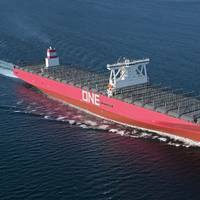 Lines, Ltd., and Nippon Yusen Kabushiki Kaisha have announced the completion of payment for investment in their new joint venture in the container shipping business, Ocean Network Express Pte. Ltd. (ONE). The JV was established in July 2017, with service commencing on April 1, 2018 with a total investment of USD 3 billion. The JV will be offering 85 services, calling at over 200 ports in 100 countries. 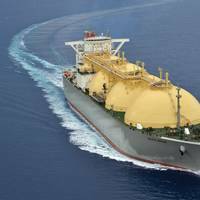 K Line and MOL each hold 31 pct stake in the JV, while NYK participates with 38 pct share. 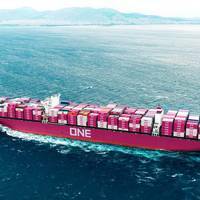 Japan's Ocean Network Express (ONE) announced the commencement of container shipping businesses on April 1, 2018. ONE is the result of an integration of the container operations of three Japanese shipping carriers, namely, Kawasaki Kisen Kaisha, Ltd ("K" Line), Mitsui O.S.K. Lines, Ltd (MOL) and Nippon Yusen Kabushiki Kaisha (NYK). In April 2017, MOL, NYK and 'K' Line, started services as "THE Alliance" with other major domestic and foreign shipping companies. 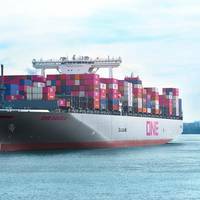 Ocean Network Express will continue to provide services as an alliance member.